Rebecca Ferreira was announced as the recipient of the 2018 Student Support Grant was announced at the Nautical Archaeology Society Conference on Saturday 17th November 2018. 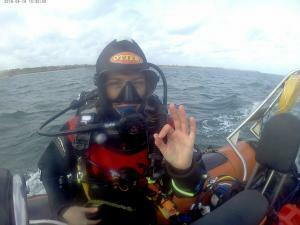 Rebecca is studying for her Masters in maritime archaeology at the University of Southampton. She plans to spend the grant on dive equipment to allow her to gain more fieldwork experience.